There seem to have been a few summer romances in the doggy world because we performed four caesarians in 10 days including one for the lovable Miss Tinka. Tinka came into the clinic for a caesarian. 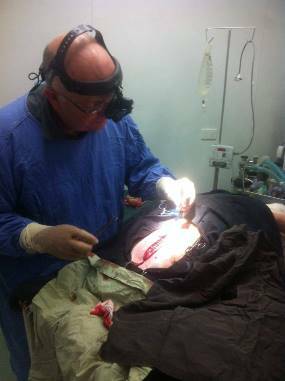 Dr Rob and vet nurse Stacey performed the surgery. 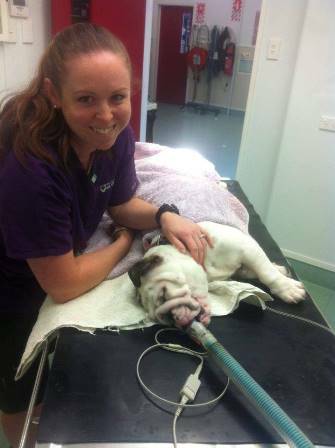 They were assisted by vet nurses Sheree and Shamara who were resuscitating the eight bonnie puppies. Tinka came in to get her sutures removed and her doting owners say she is being an amazing mother and by the look of the puppies she isn’t short of milk! 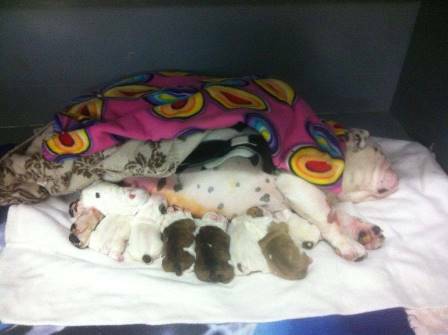 We look forward to seeing these gorgeous pups grow up into wonderful family dogs.